Originally making hip-hop beats from his North Carolina Central University dorm room using software called Fruityloops and selling them on Soundclick, he has since become one of the more accredited producers in the hip hop music industry. As a part of the underground group, Little Brother, he gained widespread recognition and critical acclaim from underground hip hop world. When the upcoming producer released a remix album of Nas' 2002 album God's Son entitled God's Stepson, he began to get noticed by many mainstream hip hop artists. 9th Wonder landed a coveted production credit on Jay Z's highly anticipated The Black Album. The producer continued to produce for Little Brother along with many other underground hip hop artists/groups, including Jean Grae, Median, Murs, Legacy, and Access Immortal. 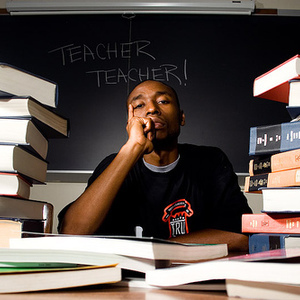 9th Wonder has also produced for many big name artists such as Destiny's Child, Mary J. Blige, Freeway, and Memphis Bleek. Today, he still resides in North Carolina.